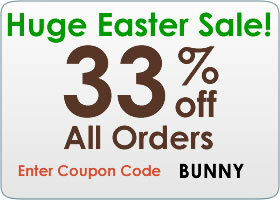 Shades Shutters Blinds is offering 33% off on all window treatments for Easter. Shades Shutters Blinds, a leading internet retailer of custom made blinds and roller shades, is promoting a big Easter sale that will end Sunday night April 7th. "This is a site wide sale and good for all of our products," explains Rose-Marie, who heads all of the marketing. "Just enter the code BUNNY at checkout and it takes the sale off the full amount. There are no minimums or restrictions." "Easter is exciting for us and you will also be entered to win a brand new iPad if you post a review on the product you purchased," Rose-Marie explains. 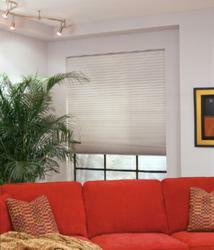 "Most of the window coverings are custom made in the United States. All have a lifetime warranty for materials and workmanship. Hurry, this sale will end soon." Shades Shutters Blinds will have a full customer service staff up until Easter to help with any questions on ordering or to answer specifics on how to measure for blinds. Free samples are shipped that day. Standard shipping is free.